If you are facing student loans, credit card payments, or other types of debt, trying to repay those balances can feel overwhelming. However, it is important to not let the stress of your debt get to you. Let’s take a look at some ways that you can stay calm and work through your debt issue in a steady and timely manner. 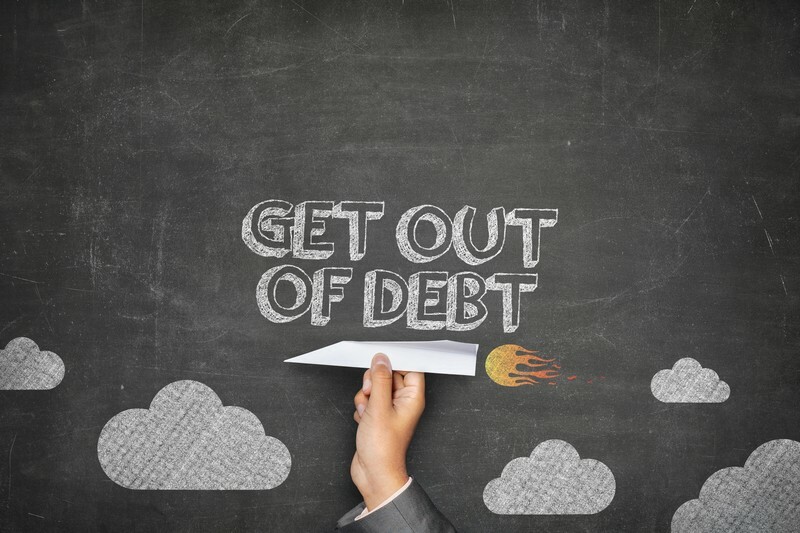 Finding a debt reduction method that works for you is critical to your success. Many people choose to use the snowball debt reduction method because it allows you to start making progress quickly. When using this system, you start by paying down the lowest balance first while making minimum payments on other balances. Once the lowest balance is paid off, you pay down the next lowest balance until they are all paid off. It is easy to use the stress of being in debt as an excuse to make poor decisions. For instance, you may decide to take out another credit card or go to dinner when you can’t afford to. While it may work to comfort you in the short-term, it will only make it harder to get out of debt. If you’re a student or a former student, you can easily get stressed with student loans, but you have to continue to be as frugal as possible. Use different types of student budgeting techniques, and attempt to talk to family, friends, and even counselors to help identify ways to help the situation. How Do You Make Good Decisions When Under Financial Strain? Getting out of debt is a lot like losing weight or starting a new exercise routine. The goal at first is to simply start learning and applying good habits that you can use for the rest of your life. While your debt won’t go away in one day, understanding how to manage money can prevent debt from being a constant problem in your life. When you are feeling stressed, you should take a walk to clear your head or go to the gym to let off steam. It may also be a good idea to watch a movie at home or spend some time playing with your pet. The goal is to get your mind off of your stress until you no longer feel like going on a retail binge or otherwise engaging in unhealthy behavior. While debt is not always avoidable, it is important that you don’t spend more than you can afford to repay. If you do, it could lead to stress and other negative consequences. Ideally, you will find a way to repay the debt and learn strategies to avoid borrowing too much money again in the future. Dealing with financial stress and learning to handle money wisely can be overwhelming to handle alone. Contact me for mentoring services that can help you turn your life in a better, more successful direction!